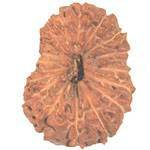 Eighteen Mukhi Rudraksha represents the mother earth. The possessor remains happy, healthy and intelligent. It is specially beneficial for the pregnant women in protecting their child. Those who had many abortions shall wear 18 faced for a birth of healthy and lucky baby. Even keeping it in a house protects the house form earthquaks and Eclipse. 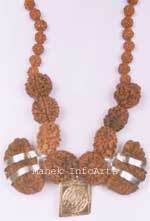 It is one of the rarest rudraksha bead available. Those who posses 18 face are really very lucky. It is related to eighteen types of herbs in the body. 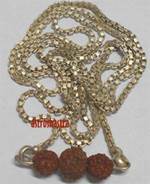 The person who wears this rudraksha will never get any disease in the life time and get all kinds of happiness and comforts in his life. It removes laziness and excessive sleep. 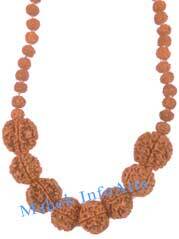 This helps in Ayurveda, chemical process, cloths etc. 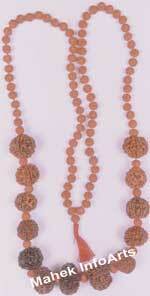 It removes all kind of sins and in the end liberate the wearer from death cycle. 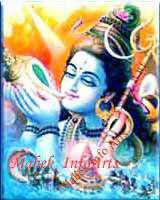 It is very effective antidote for Saturn miseries and provides miraculous cure to several ailments and recommended to be worn around neck.